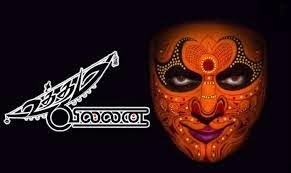 I agreed to go for the Uttama Villain show with some trepidation. I am not a big fan of the serious, cerebral movies of Kamal Hassan no matter how good they may be. I would rather settle down and enjoy a mind numbing comedy by him any day, so the name of the movie and the promotional shots made me a little uncomfortable for Kamal in my opinion tends to crowd the screen with him and there will be a lot of self-indulgence on screen. By the interval I had relaxed and the reasons for the same will follow in the lines below. Uthama Villain (UV) is the story of a dying star making an attempt to achieve immortality by doing something what he does best, that is being a star. I will avoid sharing the plot of the movie for it will not do justice to some sparkling writing by Kamal. His intelligence and wit shines right through and sometimes if you do not pay attention you will miss it. The wordplay and the choice of names for the various characters are enjoyable. The characters (there are so many of them!) are adequate and sometimes you wish you could see more or less of them as they bordered from good to annoying. The protagonist called Manoranjan (note the name) appears to be partly / wholly autobiographical of Kamal himself and makes you wonder if UV is Kamal’s attempt at leaving behind a masterpiece. Kamal plays Manoranjan a movie star who is married, has a young adult son, a patronizing father in law and has an affair with his doctor. On knowing that he is terminally ill he decides to make a movie with his mentor played by K Balachander which will be called Uthama Villain, with Manoranjan playing the role of Uthaman. If this is confusing you should watch the movie. While Kamal scores as the writer, the choreographer in few dance sequences, songs, lyrics and invariably in the acting sequences, he fails when he succumbs to the abyss of self-indulgence. Manoranjan stays with you long after you leave the cinema rather than Uthaman because of Kamal’s subtle scenes like the one with his son when he reveals his illness. Uthaman fails in his attempts to stay in the mind despite some genuinely funny lines including an unexpected bit of toilet humour. As you leave the theatre it slowly hits you; despite the explanation of the title given by Manoranjan in the movie you have a sneaky feeling that the title of the movie is again autobiographical. It is about a person who is perceived as a villain in real life because of his mistakes but is actually an Uthaman because it was circumstances that made him into a villain. Bottom line: Go watch it, it is a good movie by a talented superstar but it falls short of being great because the star succumbs to the charms of being a super star.